Want to change the world? With these five books, you can follow in the footsteps of one of history’s most innovative businessmen. Few people in history have had a hand in shaping the world as much as Apple co-founder Steve Jobs, who was an ingenious innovator, an impassioned presenter, and a consummate businessman. Through his passion, perseverance, and refusal to follow the rules, Steve Jobs built the most profitable company in human history. And if you’re interested in becoming the world’s next tech icon, there are plenty of books to help you adopt strategies for success. But won’t all that time reading take you away from your innovating? Not anymore! This is precisely why we invented the Blinkist app; with the app you can get actionable tips from the world’s best nonfiction books in 15 minutes or fewer. All tips are available in the app in bite-sized flashcard formats that you can quickly read or, thanks to the audio versions, listen to on-the-go. What you learn with Blinkist is totally up to you—there are more than 2,000 titles in virtually every category to choose from. To help you channel your inner Steve Jobs, here are tips from 5 books that are ideal for innovators and entrepreneurs. When Steve Jobs met computer technician Steve Wozniak in 1971, the two young men struck up an instant friendship based on their shared enthusiasm for electronics and pulling pranks. It didn’t take long for them to realize that by combining Woz’s programming skills with Jobs’ visionary ideas, they could make some serious money. The two soon began building and selling homemade electronic devices, launching what would become the most celebrated partnership in Silicon Valley. In Powers of Two, author Joshua Wolf Shenk argues that the idea of a lone genius is a myth, and that creative pairings truly lie at the foundation of mankind’s greatest achievements. With Woz, Jobs could exchange his ideas and listen to criticism from someone he respected. And while the Steves had a lot in common — they also had their differences, the resolutions to which only improved their innovations. So while you might think you can make it on your own, it always helps to have someone with complementary skills at your side. During his childhood, Jobs’ affinity for math, design, and engineering set him apart from most other kids. But it wasn’t until he enrolled at Reed College in 1972 that Steve began pursuing more out of the ordinary interests including meditation and psychedelics. Later in life, after achieving monumental success, Jobs would credit this time of self-exploration with instilling in him his focus, design sensibility, and big-picture mindset. 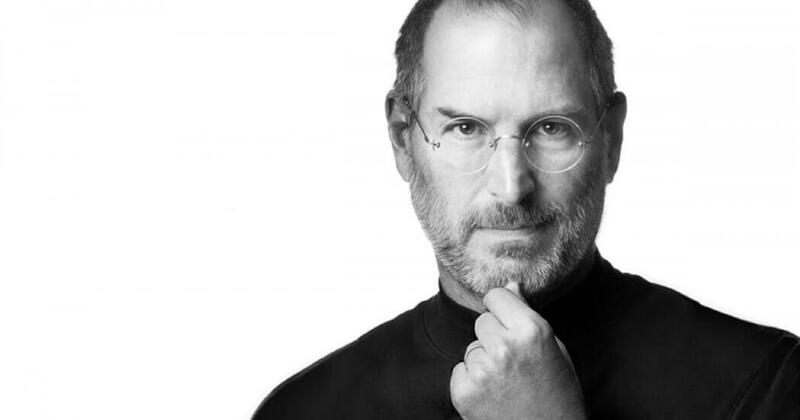 In 1985, Jobs was forced out of his position at Apple by the business’s board of directors. But when he returned to the then-struggling company in the late 1990s, he famously announced a plan to restrict Apple’s focus to just four products: desktop and portable computers for consumer and professional use. But he didn’t stop there—he also streamlined all of the business’s practices from meetings to team sizes to product design and beyond. In Insanely Simple, Ken Segall offers insight into what Steve Jobs seemed to inherently know—that people prefer simplicity. By sharpening Apple’s focus and removing unnecessary features, Jobs’ obsession with simplicity and minimalism shaped his company’s future and transformed Apple into the powerhouse it is today. And although Jobs is no longer with us, his aesthetics continue to be evident in Apple present product line. On several occasions throughout Jobs’ tIme as CEO of Apple, he was confronted with the choice to either embrace current technological standards or blaze a new, untested trail into the future. Despite huge risks and negative projections from the press, Jobs frequently chose to believe in himself and follow his vision. In Strategy Rules, the authors encourage CEOs to take risks to stay competitive, even at the cost of cannibalizing other aspects of a business. This was a philosophy that Jobs subscribed to, which was apparent when he announced the iPad. Although the tablet computer resulted in fewer people buying more expensive MacBooks, the number of Windows users who switched to iPads more than made up for the lost revenue. Although Steve Jobs is known for being among the most innovative CEOs in modern history, his prowess in the realm of presentations may even have surpassed his acumen in business. Jobs was a masterful presenter who consistently left his audiences—and the media—in awe. But for as natural as Jobs appeared on stage, there’s actually a science to creating a memorable presentation—and in Talk Like TED, Carmine Gallo explains how it largely relies on practice. Gallo endorses time-tested techniques of letting your passion shine through and incorporating stories into your presentations, and he also provides tips to help ensure what your voice is saying is in sync with what your body is doing. Blinkist makes it easy for you to explore these 5 titles among more than 2,000 other books in every category imaginable. So what are you waiting for? Get inside the mind of Steve Jobs and other influential innovators like Tim Ferris, Seth Godin, and Tony Robbins by downloading the Blinkist app today.